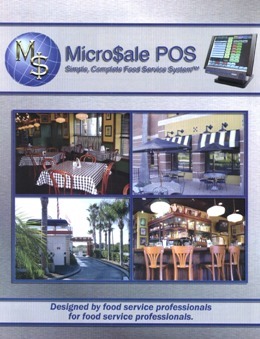 Micro$ale POS, Simple, Complete Food Services System, is true 32-bit Windows based application, running under Windows 2000 and Windows XP, offers a powerful solution for a low cost investment. The software is easy to install, maintain and setup with features color coded for the market being addressed. CARS screen management issues quick and easy operator input, is easy to learn, minimizes order entry mistakes and increases overall accuracy. The software has an extensive array of features addressing a variety of applications including: table service, quick service, drive-thru, take-out and pizza/pizza delivery (w/caller ID).